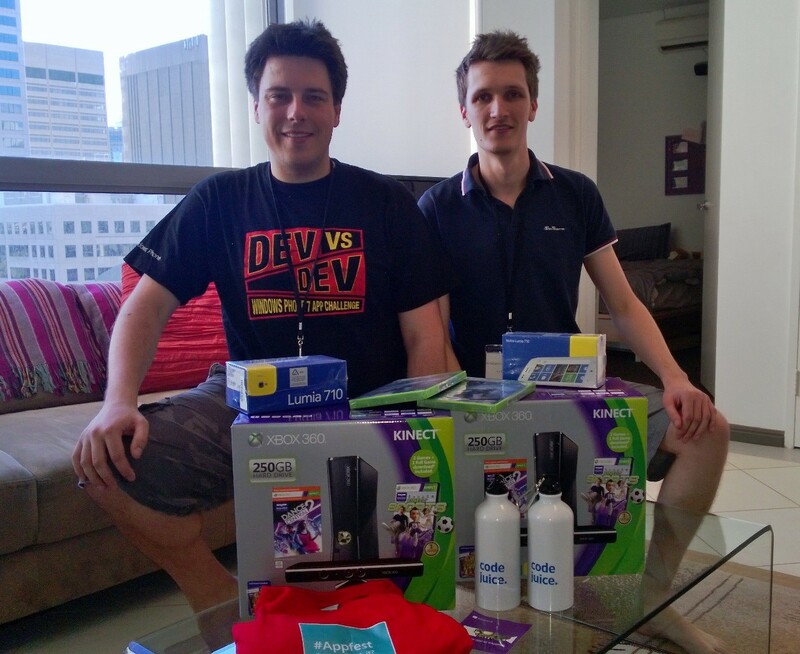 The Sydience team took out the major prize at Microsoft’s #AppFest Sydney this weekend. The two-day hackathon provided for some intense competition from dozens of individuals and teams, but Adam and Kris from Sydience ended up taking home a couple of Xbox 360 consoles with Kinect, Halo 4, some new Nokia Lumia phones and the mandatory free swag. The winning app was a voice-controlled squash score keeper called “Squash Ref”. We plan to submit the app into the Store in the coming weeks after some refinement and additional features are added. We’d like to send our thanks to the team at Microsoft, the helpful mentors, as well as the inspirational speakers. We both had a great time at the event and look forward to competing in similar events again in the future.